26-30 June – please register! Over recent years, and thanks to a broad community of artists, phonographers and individuals working with sound and field recording, the radio aporee ecosystem has collected and developed both an extensive body of sound as well as tools for artistic practices and research in the field. In addition to aspects of collecting, archiving and sound-mapping, the radio aporee platform also invokes experiments at the boundaries of different media, and public space. Within this notion, radio is both a technology in transition and a narrative. It constitutes a field whose qualities are connectivity, contiguity and exchange. Within this, concepts of transmitter/receiver and performer/listener may become transparent and reversible. 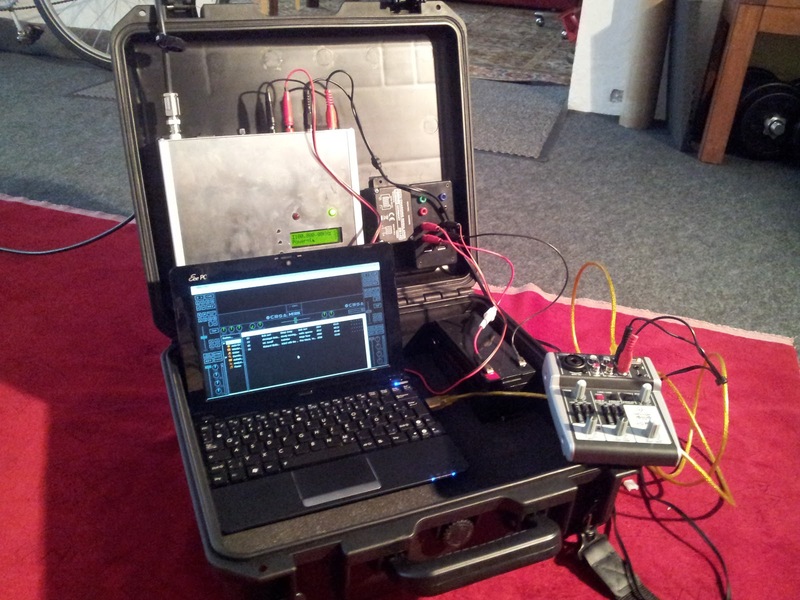 During Tuned City Brussels, Udo Noll will accompany the course of the festival with his experimental radio device bx (bROADCAST BOx), a hybrid assembly of tools and techniques for entering and exploring different media spaces more or less simultaneously. The bx is an advancement of the previous concept of fmwalks, a setup combining performative city walks and mobile FM transmitting. It creates a link between the radio aporee soundmap of Brussels, recent recordings from actual city surroundings and live activities at various festival venues. It delivers a daily sound stream in between documentation and artistic radio practice, embedded into the city’s urban atmospheres. According to its notion of an interface, fmwalks/bx is open for participation. It encourages engagement and collaboration with the other Tuned City projects and artists. During festival hours, transmissions can be received on http://radio.aporee.org.